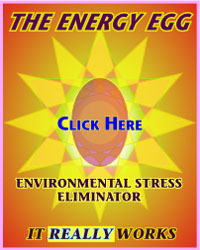 The Energy Doctor is based on the groundbreaking ERA – Energy Recovery Awareness – approach to health, relationships, work, creativity, happiness and spiritual development. 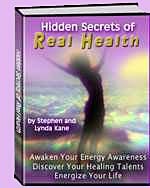 Stephen and Lynda Kane have been using ERA methods since the early '80s to help clients, worldwide, develop their awareness of the energies—human and environmental—that underlie their quality of life and consciousness. In the Review section of the January 4 2004 edition of the national UK newspaper, the Sunday Telegraph, reporter Julia Llewellyn Smith describes how taking the drug Modafinil gave her a "44-hour day with no side-effects". She says it could transform the way we live and that it might be suitable for all manner of folks from new mothers to shift-workers. So, if—as Leon Kreizman, the author of The 24-Hour Society, says—Modafinil really does make our need to sleep optional, shouldn't we all be rushing out to buy some so we have even more time to do whatever it is we need more time to do? Llewellyn-Smith discussed her deliberately-induced insomnia with Ian Davidson, a representative for Cephalon, who manufacture Modafinil as "ProVigil" in the UK and the USA. According to Davidson, "We are not 100 percent sure how ProVigil works." So, in the interests of your health—as opposed to the drug industry's profits—here is a brief explanation of what Modafinil does... from the point of view of human energetics. Modafinil works by creating a lesion in the 4th (solar plexus) chakra that extends up to the 6th (forehead) chakra. In plain English, this means that some of energy in the upper abdomen flows up to the frontal lobes of the brain. Normally, when you go to sleep, your 6th chakra closes, so your senses—eyes, ears and so-on—get some rest. With Modafinil, the 6th chakra gets extra juice—so it just keeps going. However, like so many pharmaceutical drugs, Modafinil works by robbing Peter to pay Paul—"Peter," in this instance, being the 4th chakra. The longer its energy is being sucked out by the drug, the higher the eventual price. The 4th chakra controls a major part of your immune system. 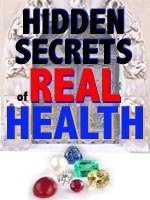 It also controls heart, stomach, duodenal, pancreas and gall bladder functions. After her sleepless night, Llewellyn Smith says she developed a "nasty cold." She also mentions, in passing, that there are warnings on the foreign-label box that include the words, "cardiovascular" and "depression." When you start shifting the energy of one chakra into another, you start creating serious problems. People who develop a "Modafinil habit" on the understanding that the drug has no serious side-effects will eventually develop "mysterious" illnesses (as is the case with so many medical drugs)—from the doctors' point of view, at least. From our point of view, it's just the same old story of yet another poorly-researched product being driven by the desire for profits rather than that of wishing to benefit the end-user. 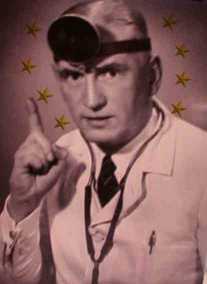 If Ms. Llewellyn Smith develops her own Modafinil habit to, as she says, finish her articles, write her letters and do her laundry, she will unwittingly develop a deeper and deeper 4th chakra fracture. The most likely consequence of this is that she will eventually contract an auto-immune disease for which she will then be prescribed additional drugs which will be palliative rather than curative. Then—assuming she continues to use Modafinil—she will be developing the disease with one drug while trying to lessen its impact with another. Ironically, the doctors representing the drug industry will, technically, be right. Different people taking Modafinil will develop different problems over the years—each according to his or her particular vulnerabilities. Thus, as the straw that repeatedly beats the camel's back, Modafinil will not be the "cause" of peoples' illnesses as such—it'll just be the factor without which they may never have become ill—a lawyer's dream distinction if ever there was one. Modafinil and its more powerful cousins—currently under preparation at Cephalon—will grow in popularity, users will eventually develop "unrelated" diseases and Cephalon and others of its kind will produce new drugs with which to treat them. Sadly, such a scenario is, for those who take drugs they don't absolutely need, a case of, "evolution in action". We hope, however, that you will not be tempted to become a guinea pig (or dinosaur) in this uncontrolled experiment. If you are, you will be risking your health and well-being with this latest example of the endless litany of fundamentally-harmful medical hazards foisted on an unsuspecting public by doctors whose relationship with the fundamental tenets of healthcare seem extraordinarily tenuous—to put it mildly.